Hybrids, "low cost", GT1 canned in favor of an expanded GT2 class, less tire wear, less noise. The 2011 regulations for Le Mans were released today by the ACO. 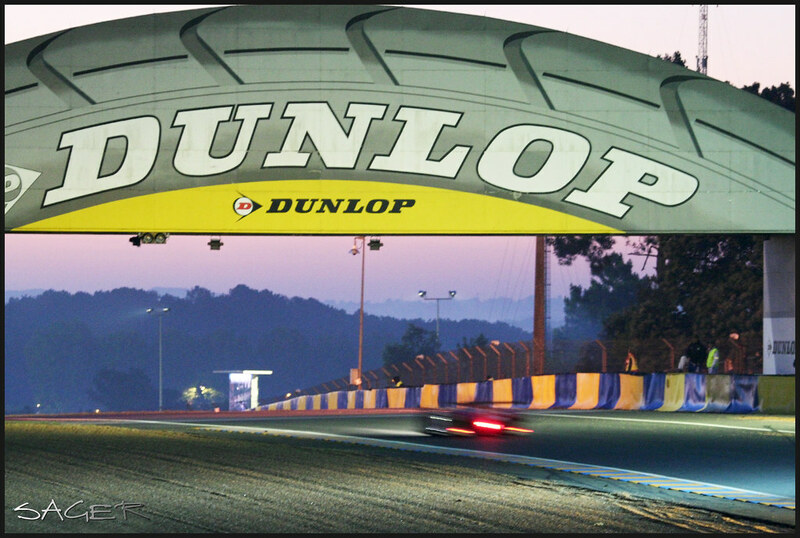 * An endurance race like the Le Mans 24 Hours must enable entrants to test new technologies. reduction of CO2 emissions and fuel consumption. * Recovery and release of the energy on two wheels (front or rear axle) to be choice free. * Maximum quantity of energy released between two braking phases: 500 kJ. * System actuated by the accelerator pedal only (push to pass buttons forbidden). * Hybrid safety specification drawn up by the ACO. * Other means of energy recovery will be allowed: exhaust, engine heat, dampers etc. provided that they respect the specifications drawn up by the ACO (safety, driver aids banned, evaluation of the increases provided by the system, the reduction of fuel consumption and CO2 emissions). * Energy recovery systems using brakes must not be active in curves (driver aids banned). * Fuel tank capacity reduction: 2 litres less for both petrol and diesel-engined cars. * Pit lane test obligatory for the cars in the hybrid category according to Article 1 / Definitions, Section 1.12 of the ACO LM P1 & LM P2 technical regulations, which stipulate that a car in this category must be able to cover the distance of the pit lane (400 m.) at a speed of 60 km/h using only the power generated by its hybrid system. The new regulations follow the current evolution of the car in relation to the environment: namely, reduction in the power and overall performance of the engines. 2010 LM P1's eligible in 2011 provided that as announced two years ago, the cubic capacity of the LM P1 prototypes will be reduced. The 2011 regulations for the Le Mans 24 Hours, the ILMC, ALMS, LMS and the Asian Le Mans series have been revised to take into account the current economic situation and ensure a transition period. It gives the 2010 LM P1 prototypes an extra year with their performance adjusted in relation to the new 2011 cars. The development of the current chassis will be frozen as at 31/12/2010. * LM P2 " A Low Cost Formula" powered exclusively by production series engines with engine regulations close to those in LM GT2. * Capped costs : that of an engine must not exceed 75,000 €, the sales price of a complete chassis with options without the engine will be 325,000 € maximum - 400,000 € for a complete car. * Minimum engine life: The life of an engine between two revisions will be 30 hours in 2011, 40 hours in 2012 and 50 hours in 2013. * 1. Installation of a new engine derived from a production series. * 2. Chassis development frozen as at 31/12/2010. * 3. Performance adjusted in relation to the new 2011 models. * Numerous date clashes on the event calendars. * Very small fields outside the Le Mans 24 Hours. * The current category is entirely sprint based. * Steering wheel mounted paddle gearshifts allowed. * Only 1 evolution per year allowed. * 2 evolutions per year will be allowed for new cars. * Measures will be taken to reduce top speeds without reducing overall power. * GT Endurance PRO: a professional category, cars and drivers free. * GT Endurance AM: cars over one year old and with a minimum of two drivers classified in the bronze or silver categories (defined under LM P2 LMS 2010 regulations). * The Michelin Green X Challenge will continue in the PROTOTYPES and GT classes.